Game Modding celebrates 6 years! Cheers! We're 6! That's great! Let's celebrate it! How fast time flies... 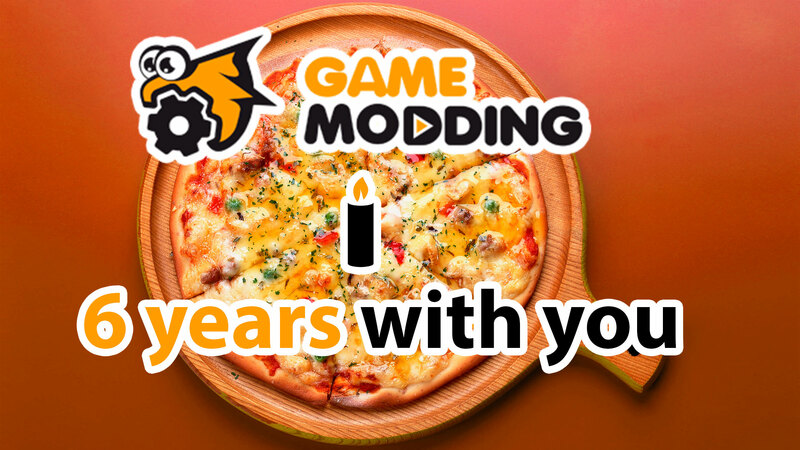 It seems that recently we added the first mods to the site, but already flew as much as 6 years! Thank you all for being with us these years. Without you and your support the site would not be the same as it is now. It's your holiday too. We sincerely want our site to please all of you every day and therefore do not stop to improve it. Today is our birthday and we are ready to accept congratulations, but you are not left without gifts! Now all pages are on GameModding.com encrypted and you can not be afraid that your password or any other information will be stolen. These are modern safety standards and we support them! We dream that our community will one day unite the whole world. One step in this direction is to add a new language to the site. Now GameModding is available in Spanish! Bienvenida!